It was a great year for cookbooks, with gorgeous photography, behind-the-curtain instruction and inventive ideas. To be honest, we compilers of “best of” lists are never quite sure about what you, dear readers, want most from the cookbook division. We could create spreadsheets with boxes checked for skill level, subgenre, gorgeousness, accuracy, practicality, novelty and price, but what’s the fun in digesting that? So it seems more of us have taken to covering those bases by lunging right over the hurdle of a Top 10. Credit longer lists as a nod toward inclusivity; we’re hedging our bets a little, really, and in some cases we’re attempting to level the playing field of celebrity authors vs. ones whose work you ought to know. Baking books tend to cluster in this season of gathering and hearth-warming activity, and that is borne out in our 2018 list. Very good cooks have shared with us the food they love to make themselves — no greater endorsement, to my mind. “American Cookie: The Snaps, Drops, Jumbles, Tea Cakes, Bars and Brownies That We Have Loved for Generations,” by Anne Byrn (Rodale, $25). This is sweet history from a cook who prefers to cut out cookies with a juice glass. “At My Table: A Celebration of Home Cooking,” by Nigella Lawson (Flatiron, $35). Twelve books in, she remains a pleasure to read, and still manages to delight us with an unexpected flavor pairing or cooking technique. “Carla Hall’s Soul Food: Everyday and Celebration” (Harper Wave, $30). It’s almost as if releasing this hometown chef from the rigors of television has allowed her to soar. Make her Caribbean Smothered Chicken With Lime and Chiles, and see whether you agree. “Cooking in Iran: Regional Recipes and Kitchen Secrets,” by Najmieh Batmanglij (Mage, $65). Of all the worthy efforts in the Mediterranean/Middle Eastern genre this year, hers is the most comprehensive and compelling. 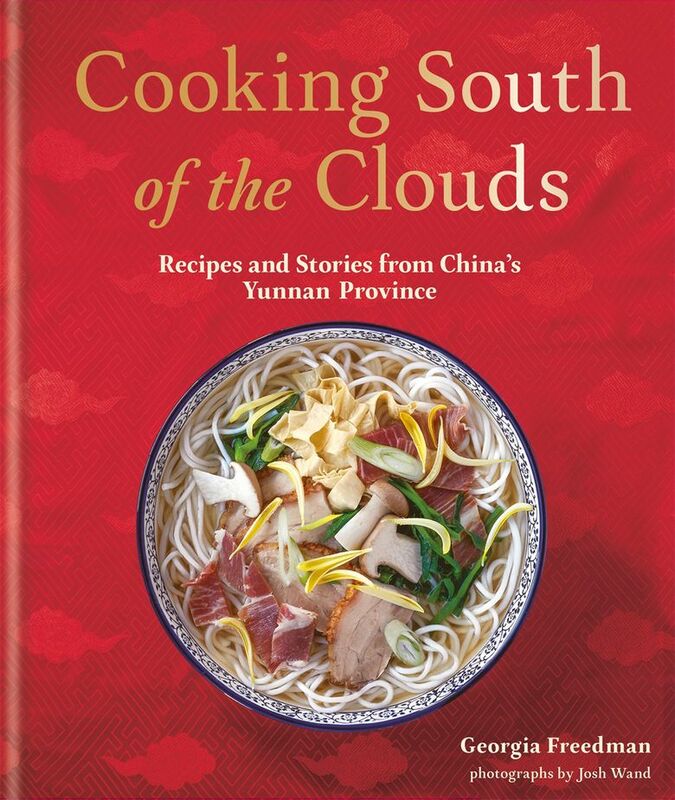 “Cooking South of the Clouds: Recipes and Stories From China’s Yunnan Province,” by Georgia Freedman (Kyle, $35). This offers an impressive yet accessible dive into a cuisine that ranges far beyond what we generally understand as Chinese. Who knew that part of the country was famous for its air-cured hams (serrano is offered as a recipe swap-in), or that cheese is a prized ingredient there? “Cravings: Hungry for More,” by Chrissy Teigen with Adeena Sussman (Clarkson Potter, $30). 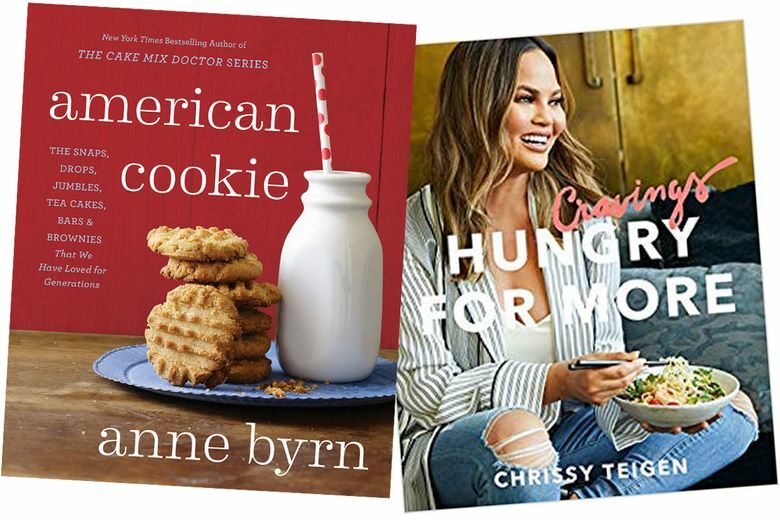 The follow-up to this celebrity’s best-selling debut cookbook gives more of the same: Unsnobbish food that plays to her loyal fans, delivered with humor and many, many “casual” portraits. “Everyday Dorie: The Way I Cook, by Dorie Greenspan (Rux Martin/Houghton Mifflin Harcourt, $35). The name’s the same as the column she wrote for the Washington Post Food section, but this recipe collection fleshes out meals both fast and celebratory. You will want to stock up on good Dijon mustard — thumbs up to that. 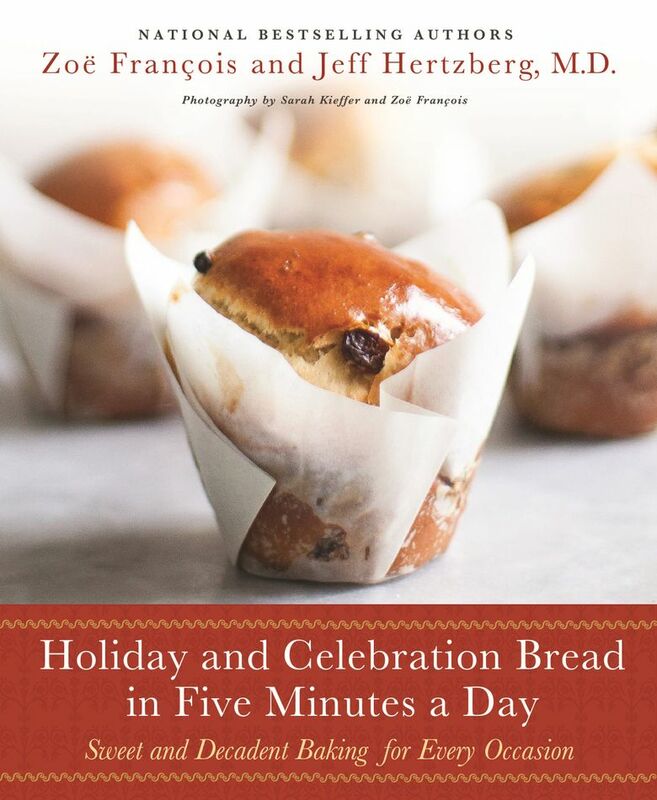 “Holiday and Celebration Bread in Five Minutes a Day: Sweet and Decadent Baking for Every Occasion,” by Zoe Francois and Jeff Hertzberg (St. Martin’s, $35). I’ll admit that Instagram shots of folks’ attempts at Raspberry Star Bread piqued my interest in this book — an interest that remains as I work my way through it. Basic recipes for no-knead doughs can go far, and this book has about the best method I can think of for turning occasional bakers into weekly ones. “Home Cooking With Kate McDermott” (Countryman Press, $30). You could almost de-ice your cold hands with the warmth that exudes from these pages. The author, a nationally recognized pie maven, closes with a lagniappe of life wisdom that will resonate with cooks of her age. “How to Eat a Peach: Menus, Stories, Places,” by Diana Henry (Mitchell Beazley, $35). It was released much earlier in the year and deserves its spot among the crush of pre-holiday books. This is exceptional writing about food. “Instantly Southern: 85 Southern Favorites for Your Pressure Cooker, Multicooker and Instant Pot,” by Sheri Castle (Clarkson Potter, $17). This IP title shines a bit brighter than the rest of its ilk because the author is fun to read, and this cuisine takes to the appliance like butter on a biscuit. “Israeli Soul: Easy, Essential, Delicious,” by Michael Solomonov and Steven Cook (Rux Martin/Houghton Mifflin Harcourt, $35). This Philly team is on a roll, following up 2015’s “Zahav” with more flavors they taught us to crave. “Japan: The Cookbook,” by Nancy Singleton Hachisu (Phaidon, $50). This a serious, handsome compendium for serious study of the cuisine. A particular takeaway for me was the Japanese method of making chicken broth, with raw and rinsed bones, fresh ginger and scallions. The result is indeed lighter and more subtle than a Western-made broth. “Matty Matheson: A Cookbook” (Abrams, $35). I can’t say I knew much about this Canadian chef before cracking open his debut tome, even though he is a TV guy. It is an entertaining, rule-breaking memoir of his life in food with lots of meat-centric dishes. Yet his brined cauliflower recipe was perhaps the most interesting of all. “Milk Street: Tuesday Nights: More Than 200 Simple Weeknight Suppers That Deliver Bold Flavor, Fast,” by Christopher Kimball, J.M. Hirsch, Matthew Card, Michelle Locke, Jennifer Baldino Cox and the editors and cooks of Milk Street magazine (Little Brown and Co., $35). This is a solid, eclectic group of recipes that is built for working into your own weeknight rotations. The Pizza Night chapter is a top-notch idea but came up short for me, as it delivers more burgers and tacos than the main attraction. “Ottolenghi Simple: A Cookbook,” by Yotam Ottolenghi (Ten Speed Press, $35). We love his flavors and lush ways with vegetables, yogurt and Mediterranean spices, but perhaps “Simpler” would be more accurate. There’s a considerable buy-in for pantry ingredients, and the shorthand codes for each recipe kept us flipping back to their explanations at the front of the book. “Now & Again: Go-To Recipes, Inspired Menus + Endless Ideas for Reinventing Leftovers,” by Julia Turshen (Chronicle, $35). The title’s showing up on so many cookbook lists because the author knows how to write simple, appealing recipes and recognizes the need for menu advice. “Pie Squared: Irresistibly Easy Sweet and Savory Slab Pies,” by Cathy Barrow (Grand Central Life and Style, $28). The author, a columnist for The Washington Post’s Food section, has become a pastry enabler in the most positive sense. With a variety of ways to form crusts and thoughtful suggestions for substitute ingredients, she has mobilized a formerly frustrated army of home cooks to fill their quarter sheet pans. 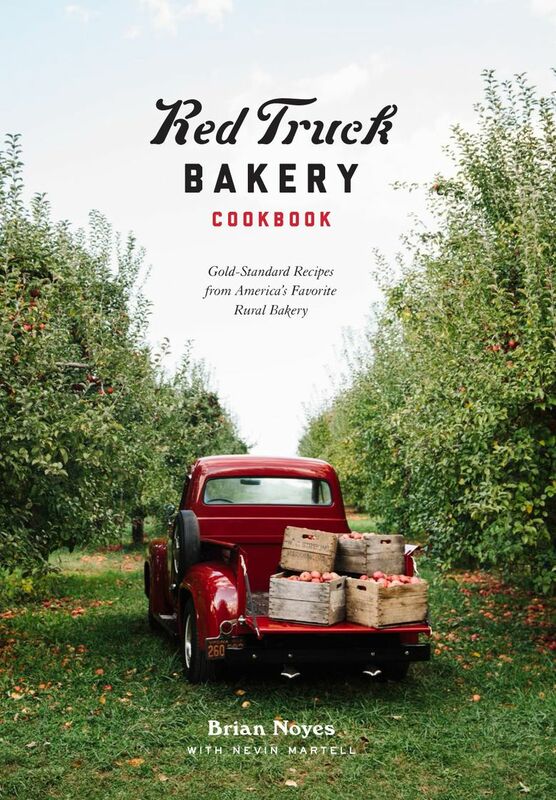 “Red Truck Bakery: Gold-Standard Recipes From America’s Favorite Rural Bakery,” by Brian Noyes with Nevin Martell (Clarkson Potter, $25). Southern pies, biscuits and Bundts that put this Virginia favorite on the map are rendered with care. Now anyone can make Noyes’ famous granola, but we’ll probably still use its acquisition as an excuse to visit the charming premises. “Season: Big Flavors, Beautiful Food,” by Nik Sharma (Chronicle, $35). Right out of the gate, this first cookbook from the San Francisco Chronicle columnist made a big noise in the food world, because of the author’s distinctive voice and his warm, beautiful photography. “Secrets of the Southern Table: A Food Lover’s Tour of the Global South,” by Virginia Willis (Houghton Mifflin Harcourt, $30). The chef-author is a pro who knows how to make her food accessible to a wide audience. You’re guaranteed to learn something about the cultural influences in a cuisine you thought you knew. “SoLo: A Modern Cookbook for a Party of One,” by Anita Lo (Knopf, $29). Every few years a cookbook author steps up to meet the needs of the singular cooking constituency; this book will serve best the ones who are already comfortable in the kitchen. Respected chef Lo engages us further with tales of her personal culinary journey. 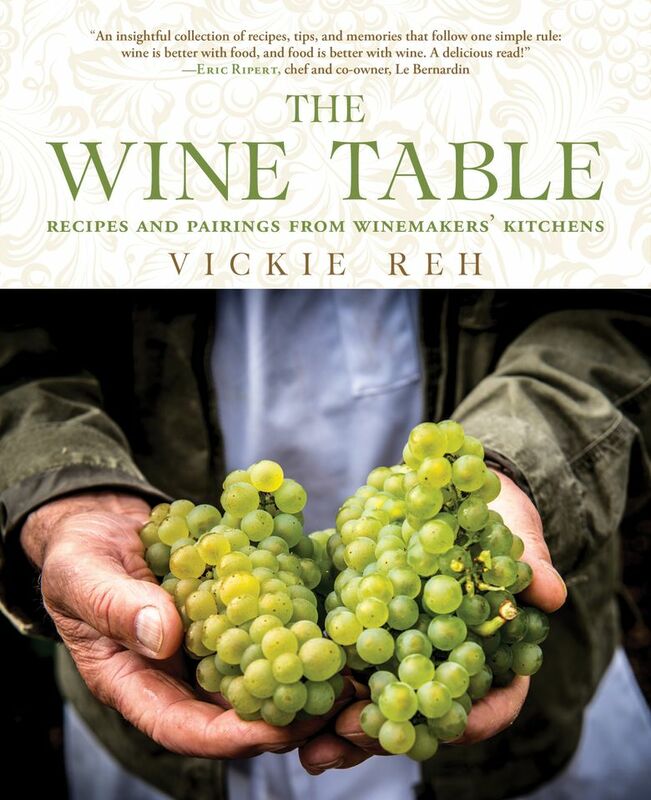 “The Wine Table: Recipes and Pairings From Winemakers’ Kitchens,” by Vickie Reh (Skyhorse, $50). This is an ambitious effort to gather inside intel and connect the dots between Eurocentric regional cuisines and wines – something even casual lovers of the grape could benefit from. The recipe writing lacks a certain finesse, and is therefore better suited for an experienced cook. “The Vintage Baker: More Than 50 Recipes From Butterscotch Pecan Curls to Sour Cream Jumbles,” by Jessie Sheehan (Chronicle, $25). What’s not quite clear from the book cover’s old-fashioned oeuvre is how the author has updated a smallish, curated collection of classic 20th-century recipes; once you start paging through, the modern photography clues you in.